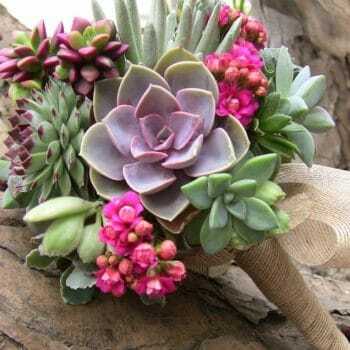 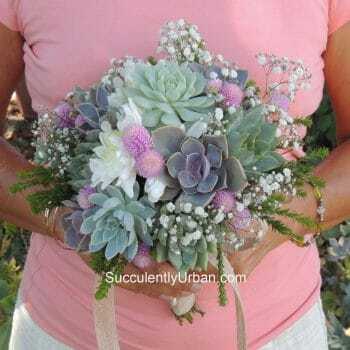 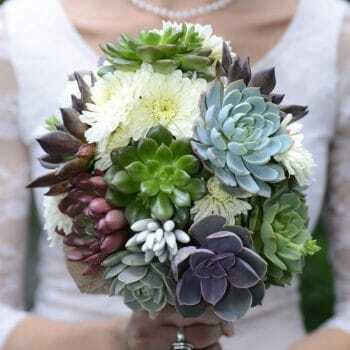 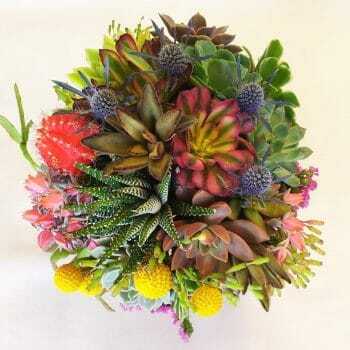 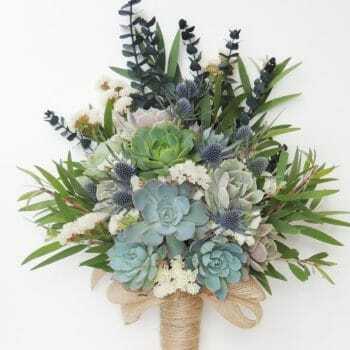 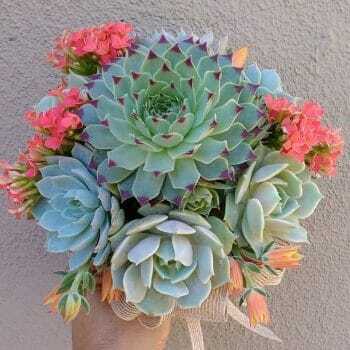 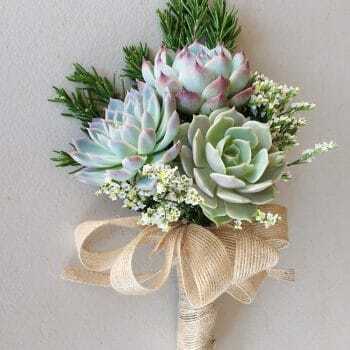 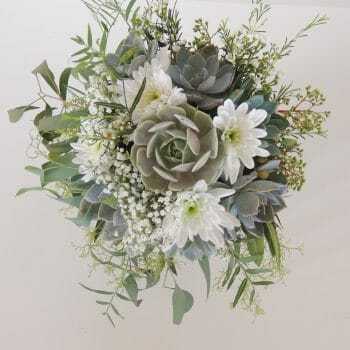 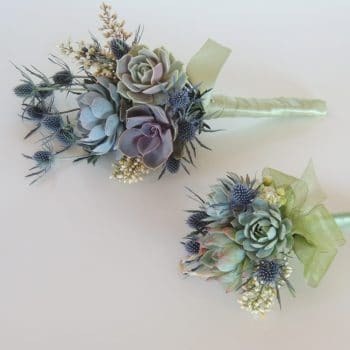 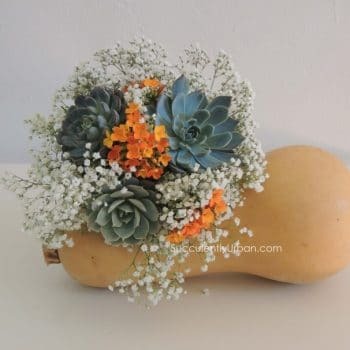 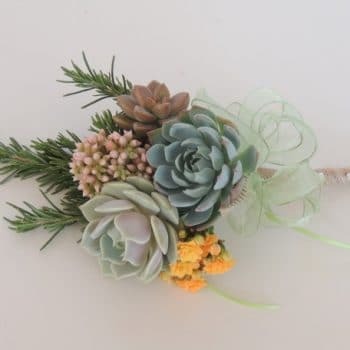 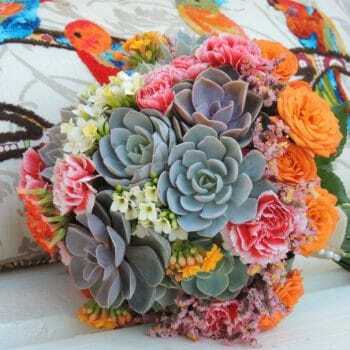 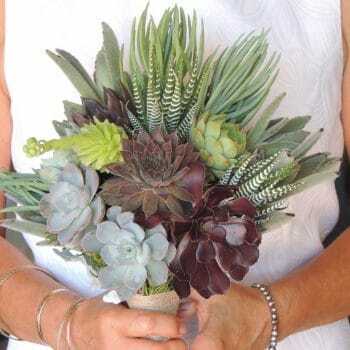 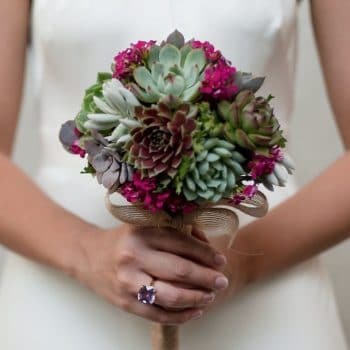 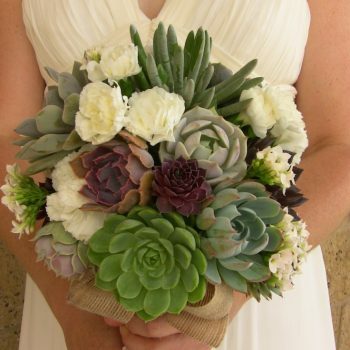 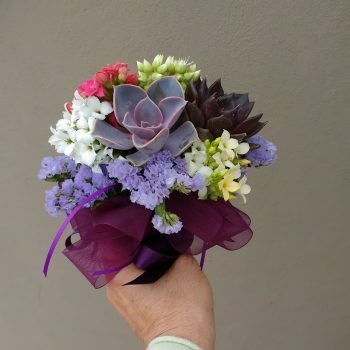 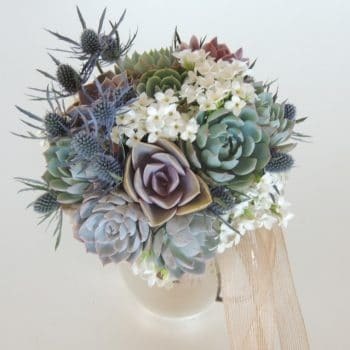 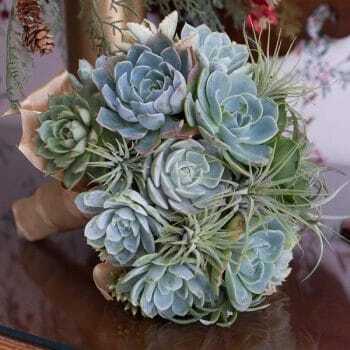 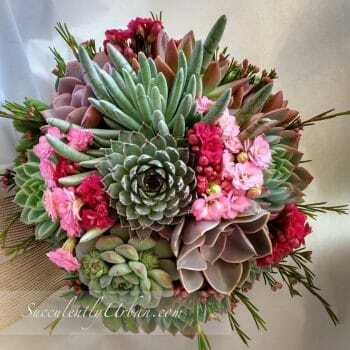 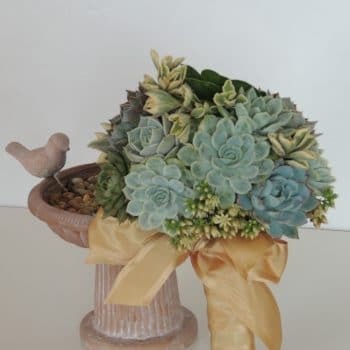 To make a memorable succulent wedding bouquet we, use only well-established premium succulents. 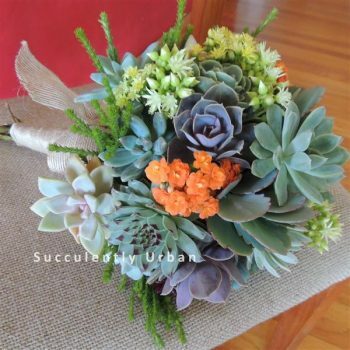 We specialize in succulent bouquets. 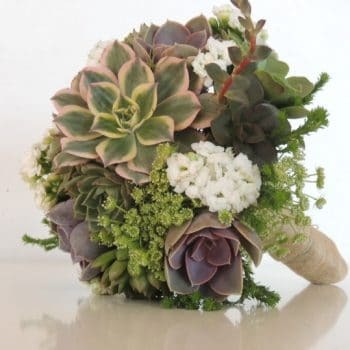 Browse our selection of bouquets and if you do not see what you are looking for or have an idea on how you want your bouquet to look, contact us and let us create something special for you! 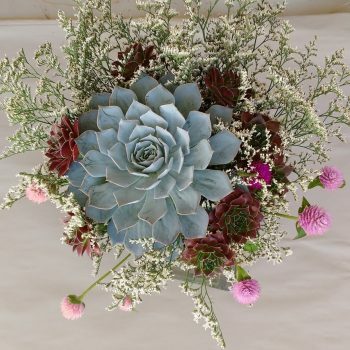 Prefer the DIY approach? 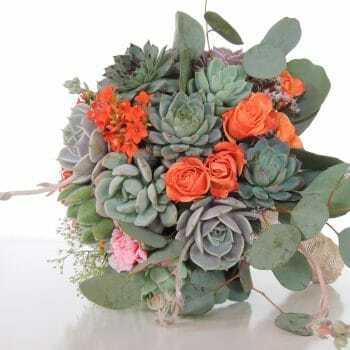 Our wired succulents are the answer. 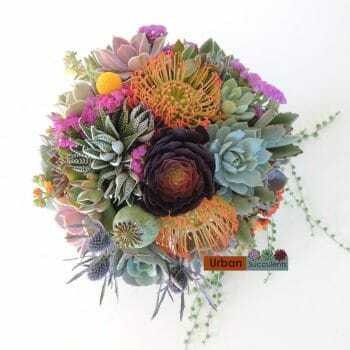 Creatively used you can create special bouquet. 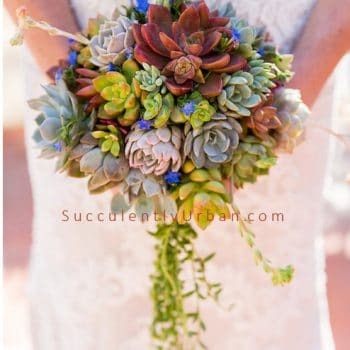 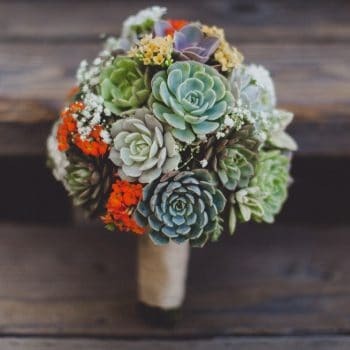 Browse our gallery for ideas and see how succulents can make your wedding day truly remarkable. 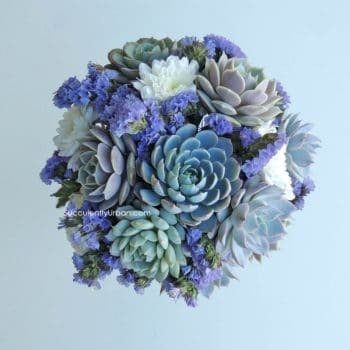 Blue-green and purple succulents are the feature in this bouquet complimented with blue thistle and white filler flowers (kanlochoes or mini white carnations).Some of the succulents used are perle von nurnberg, subselis and mazarine. 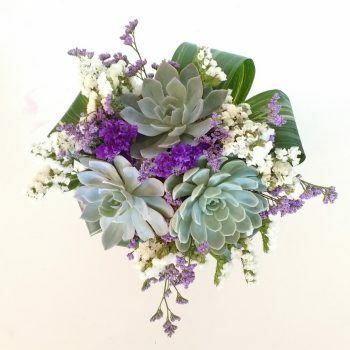 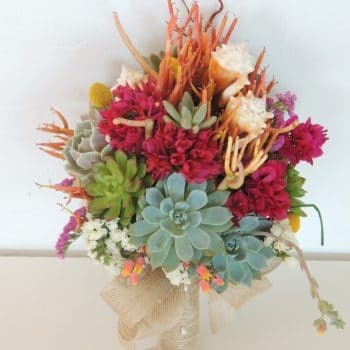 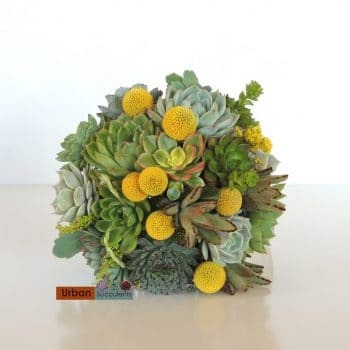 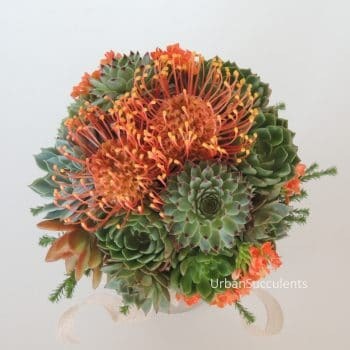 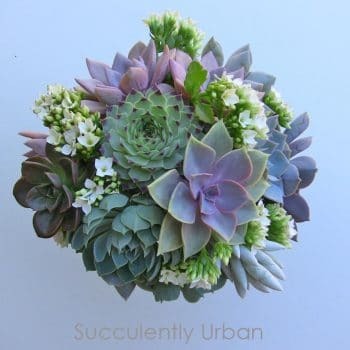 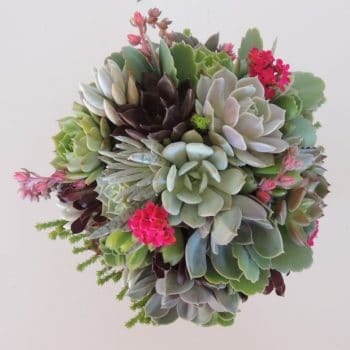 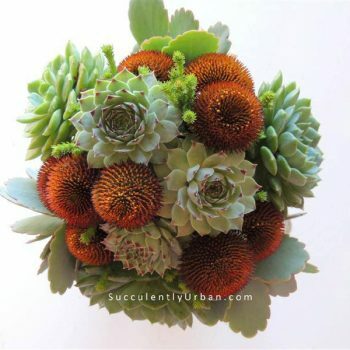 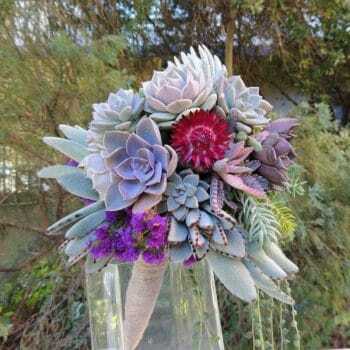 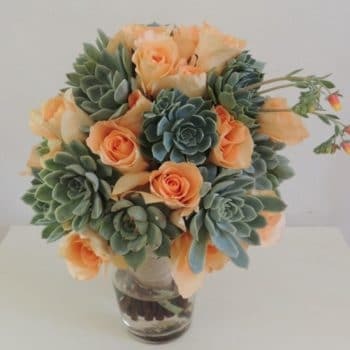 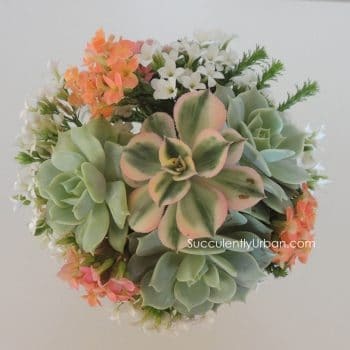 One Succulent Bouquet created with 15 sage color succulents in all different sizes accentuated with pink or orange accents.Note: This bouquet created with roses is for San Diego delivery or pick up only. 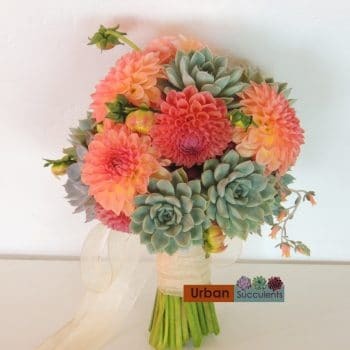 One Bridal bouquetBouquet created with vibrant colors and and various textures to include a colorful moon cactus and clusters of trailing cactus and Hatiora salicornioides – Dancing Bones for spray.